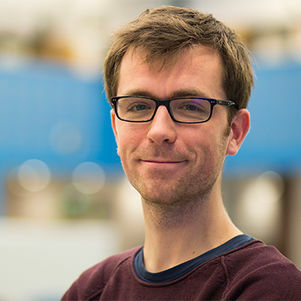 Boudewijn Boon is a PhD candidate researching children’s physical play in hospital settings. His particular focus is on young children with cancer and their families. Using a ‘research through design’ approach, he develops concepts while viewing children’s environments as potential ‘playscapes’. Through multiple design research iterations, he introduces these concepts into real life hospital settings with the aim to evaluate them and gain insights on children’s physical play. His work is part of the project ‘Meedoen=Groeien!’ (i.e. ‘participating is growing’). During his master of Industrial Ecology (sometimes called ‘the toolkit of sustainability’), Boudewijn focused on designing for sustainable ways of living. In his thesis, and resulting journal paper, he argues that such efforts take radical changes and make more sense when also aiming to increase people’s flourishing. As a research assistant of Prof. dr. Pieter Desmet, he elaborated on this idea, bridging the fields of Design for Sustainability and Positive Design. Now working in the ID-Studiolab, Boudewijn is part of the Connected Everyday Lab and the Delft Institute of Positive Design.